I love learning new little tricks in InDesign. 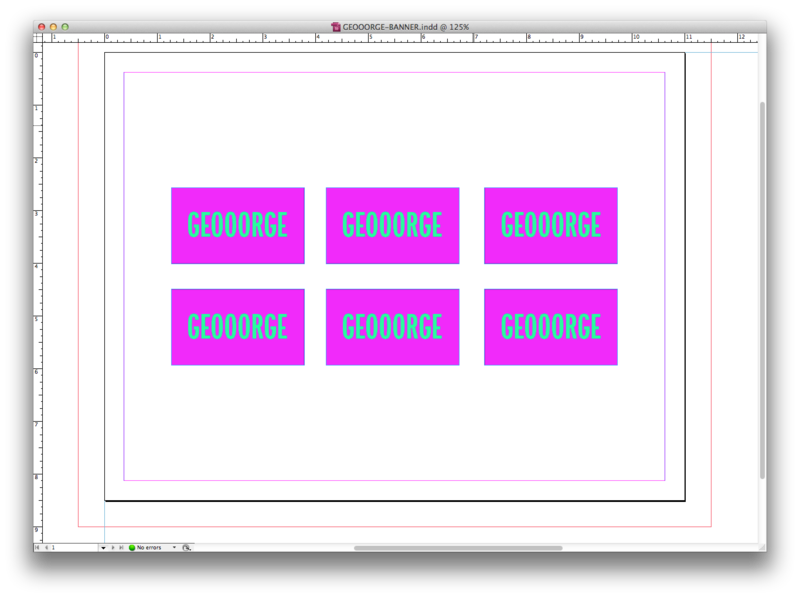 One of the designers showed me a neat little cheat around when trying to layout storyboards. 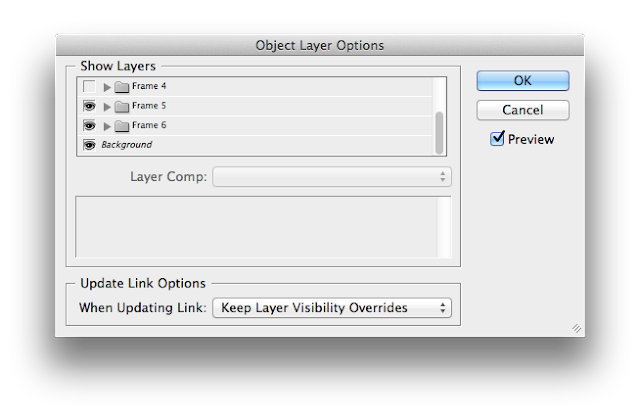 Instead of having to build out six or nine different .psd files then placing them in InDesign, you just use your layer override button. How and where is that?! Let me show you. 1. 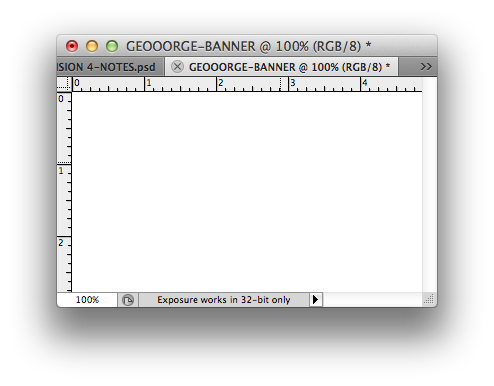 Get your .psd file all set up. 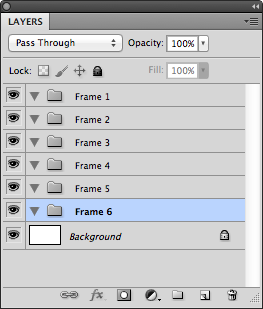 Each frame should be in it's own file. It will make things a lot easier later. 2. Place all of your images into the file. 4. Click the box to show the eyeball on the Frame you want to show. 4. Boom! 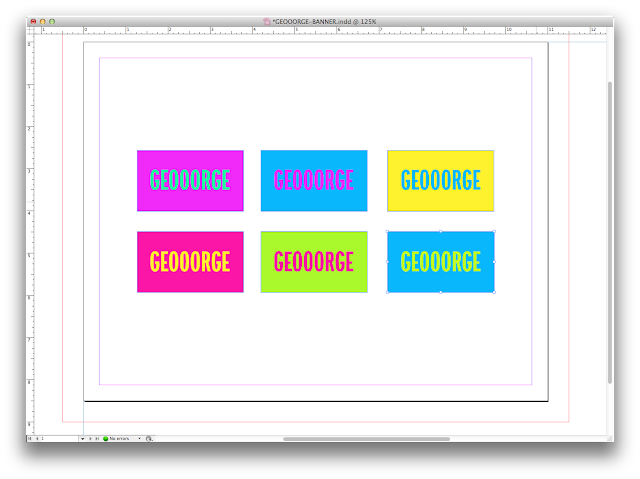 Storyboards with less mess.